Happy New Year! We hope you have had a refreshing break over the Christmas and New Year period. With the school year about to kick off, we wanted to share with you a few of the upcoming key dates as a part of the School's 90th Anniversary celebrations. Alumni are invited to attend the Whole School Assembly and Chapel on the Main Oval on Friday 8 February, commencing at 9:30am. The morning will then conclude with a morning tea with cake for parents and visitors in the Senior School Quad. Please note that the event will be on the Main Oval, so hats and sunscreen are recommended, and attendees will sit on the Main Oval grassed area. Very limited seating will be provided, but attendees are welcome to bring picnic chairs. In 2019 the CGS Foundation Red Hill Run event will run in conjunction with the P&F Community Carnival. 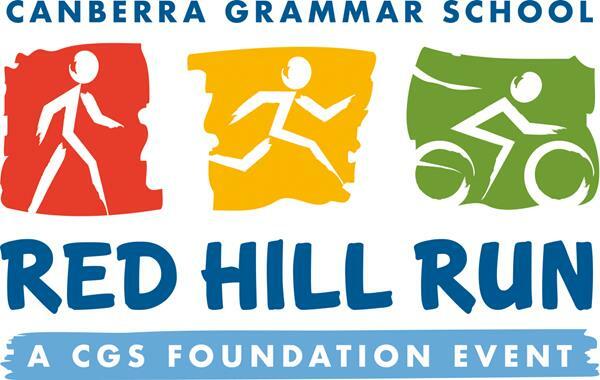 Based on the response in 2018 the CGS Foundation Red Hill Run is set to be a must-attend event in the calendar of the School and wider Canberra community. The event is open to everyone, whether a running enthusiast, a more tranquil jogger, or even a casual walker. All funds raised from the Red Hill Run will go towards the School's Campus Development Plan and the upgrade of sporting facilities such as the re-development of our Rowing Centre, Tennis and Netball Courts, Flinders Oval and the Main Oval Pavilion. The P&F Community Carnival will replace the Fete in 2019, and be action-packed with BBQs, rides, a petting paddock, a climbing wall, gelato and music performed by various School musicians. We also have just published the digital version of the Semester 2 2018 edition of the Outlook magazine, which you can view at CGS.ACT.EDU.AU and hardcopies will hit mailboxes in the next few weeks.